Doha Bank won the “Best Bank Governance – Qatar 2017” at Capital Finance International (CFI) co Awards 2017 in Second week of May 2017 at London. In recognition of the award, Dr. R. Seetharaman Doha Bank CEO said “The Best Bank Governance award is a recognition for Doha Bank Board for its active involvement in promoting excellence in Corporate Governance.It reviews and provide guidance about the alignment of corporate strategy with risk appetite and the internal risk management structure. Doha Bank is recognized as one of the few ‘Domestic Systemically Important Bank’ (DSIB) in Qatar. 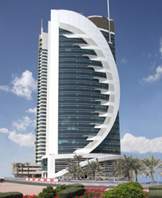 The Bank is committed to adhering to and promoting good corporate governance at every level within the Bank from the Board of Directors and Senior Management down to branch and divisional management and operational employees working throughout the organization in Qatar and the other cross-border and international locations where the Bank operates.